1. 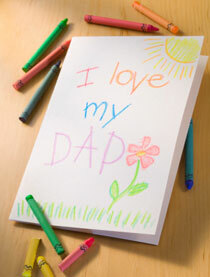 Class-y gifts—Why not give dad a gift of enrollment to a local class for something he enjoys. Maybe he’d like to learn more about computers, cooking, photography, or investing and money management. Find out what he’s interested in and then match him up with a local instructor. 2. Your delivery is here—“Gift of the month” clubs are a unique Father’s Day gift and a wonderful way to show dad that, for you every month is Father’s Day–not just June. There are many clubs to select from, choose a club that would be of special interest to dad. Here are just a few possible ideas: wine, cheese, coffee, beer, hot sauce, cheesecake, ice cream, cigars, bbq sauce, and bacon. 3. Subscribe to a better gift—Magazine subscriptions are another weekly or monthly testament to dad’s greatness (and your thoughtfulness). Each time the current issue arrives; he’ll be reminded of just how special he is. There are literally thousands of choices on hundreds of topics…money, investing, travel, sports, food, pets, gardening, and many more. 4. Say “cheese”—How about a point-and-shoot camera? Get dad one that’s easy to operate, and then tell him how much you want to see his best photos at the end of every month. That’s something to smile about! 5. Picture this—If dad isn’t into taking pictures, go to a local photo studio and have a professional picture taken. Get the photo framed and present it to dad on Father’s Day. Whatever unique Father’s Day gifts you choose for dad, your greatest gift will be a big hug and heartfelt “I love you – the two things dad likes best.